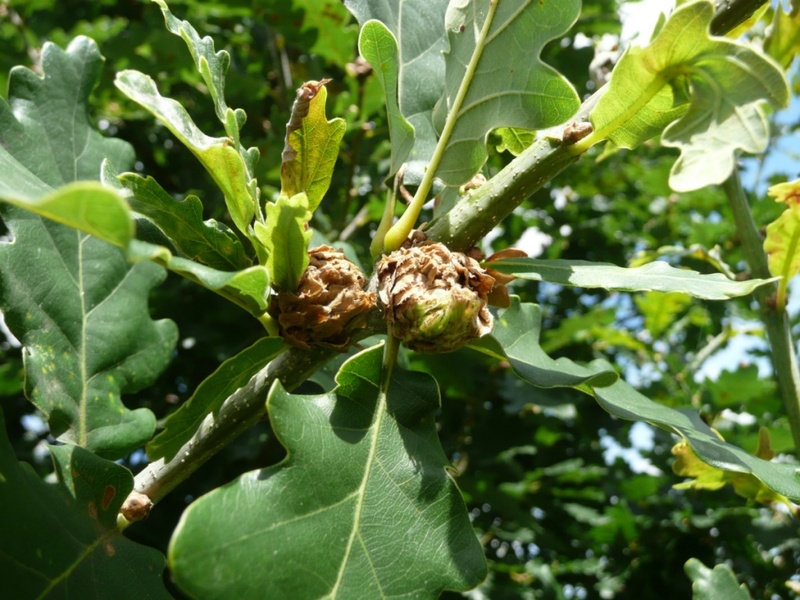 Andricus foecundatrix is a parthenogenetic Gall Wasp, it has a life cycle with encompasses a sexual generation as well as an agamic (all female with no need to mate) generation and these cause different galls in different locations English Oak and Sessile Oak. 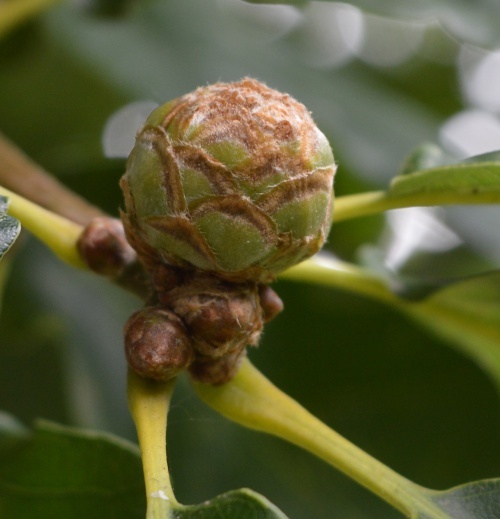 The first generation is able to reproduce without male fertilisation of the eggs. 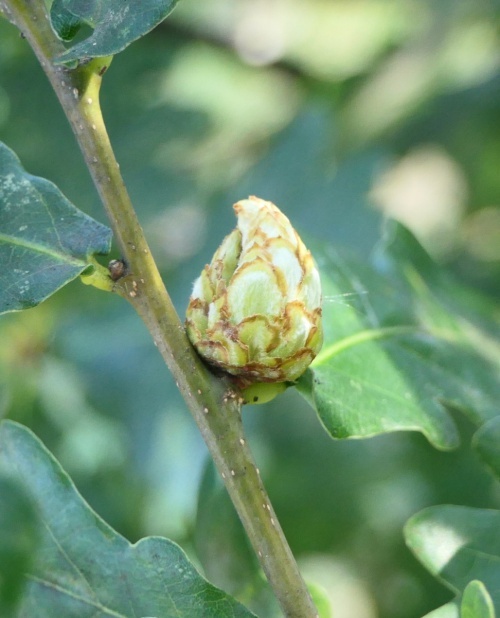 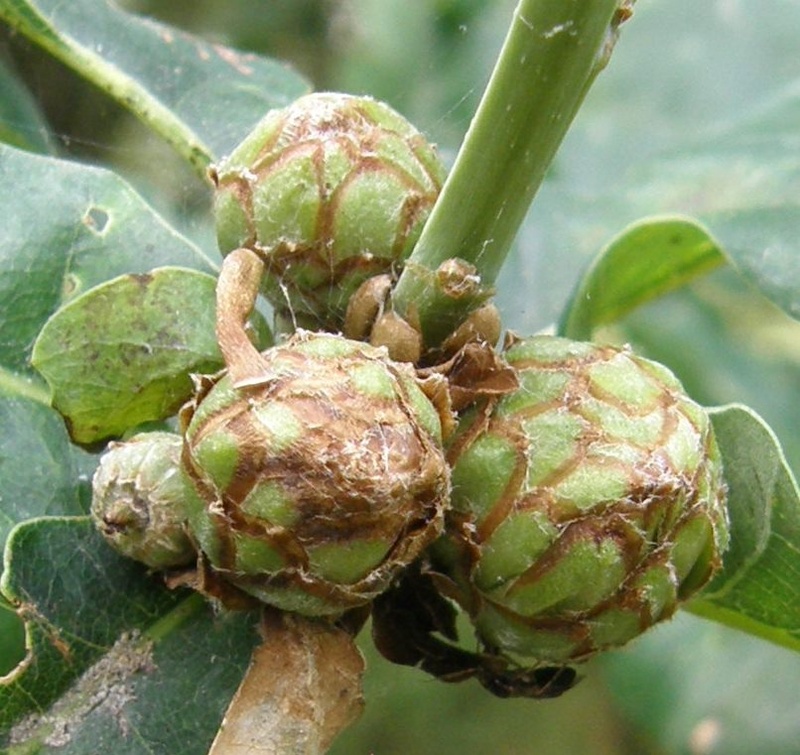 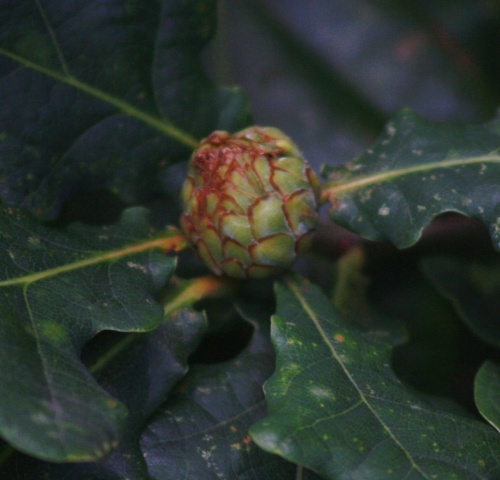 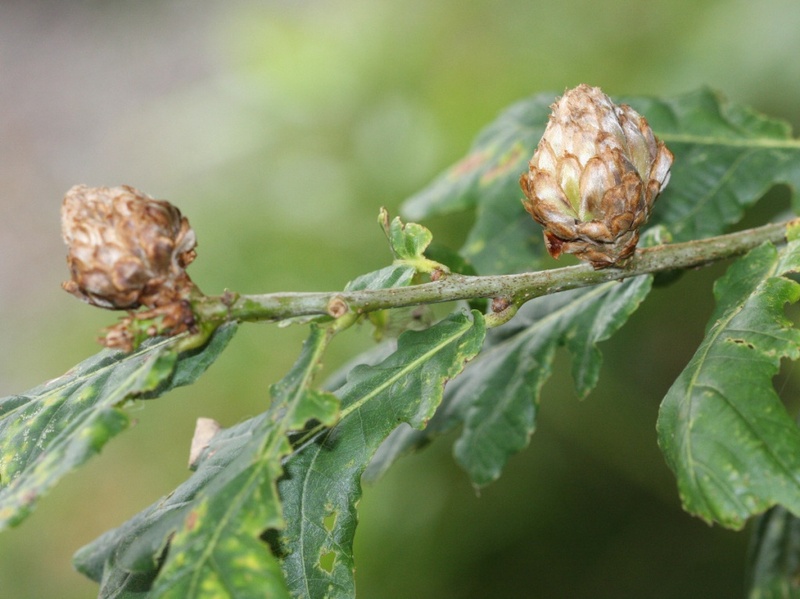 The female lays single eggs within leaf buds of Oak using her ovipositor causing an Artichoke shaped gall to form.The gall is more likely to be seen than the adult wasp. 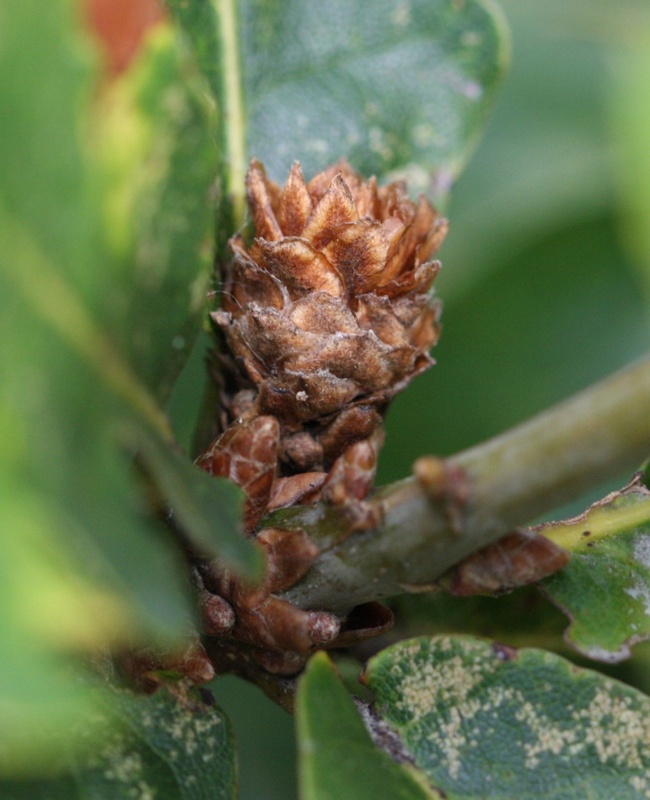 Anywhere that the host trees grow. 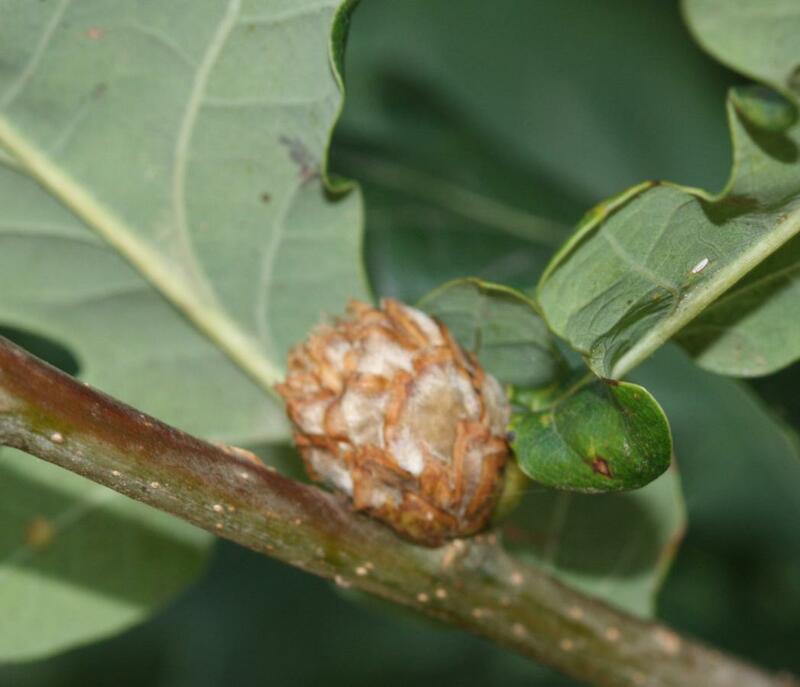 This Cynipid Gall Wasp has two sexual generations. 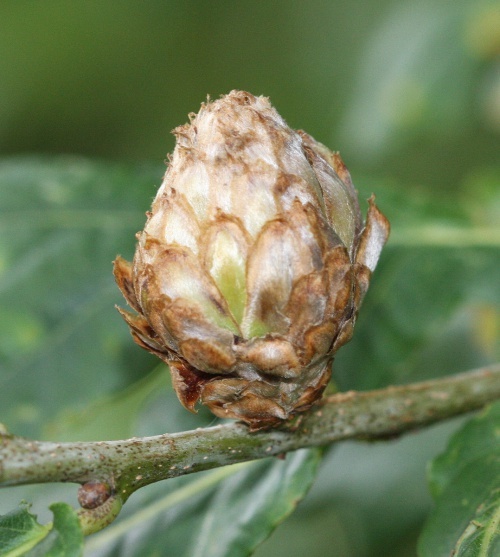 The Artichoke Gall is caused by the agamic generation. 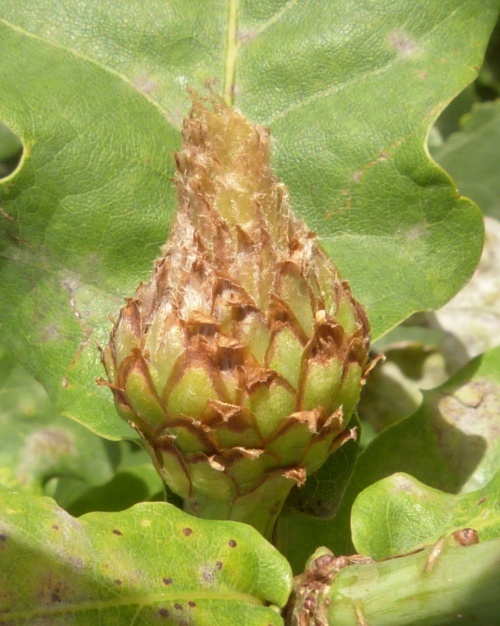 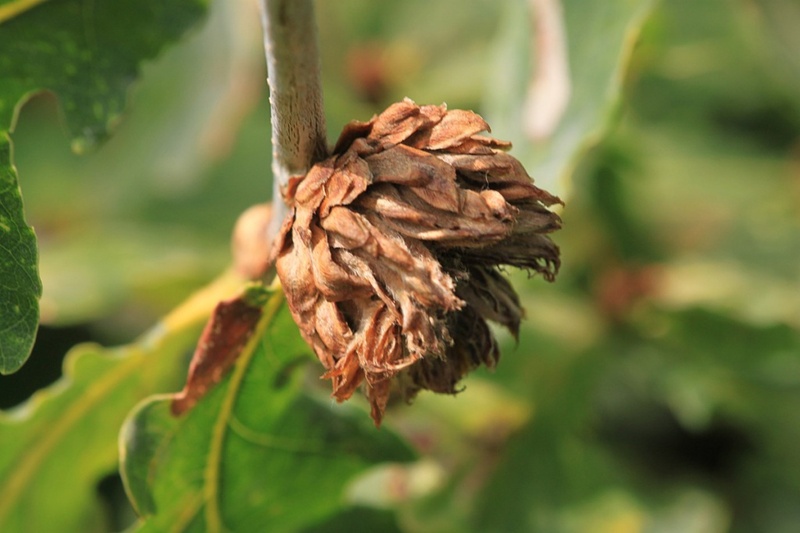 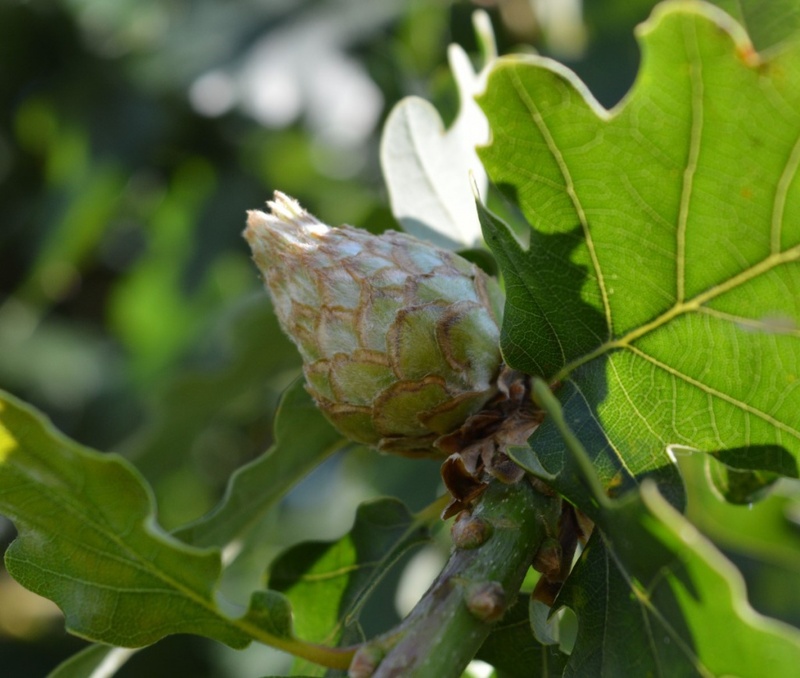 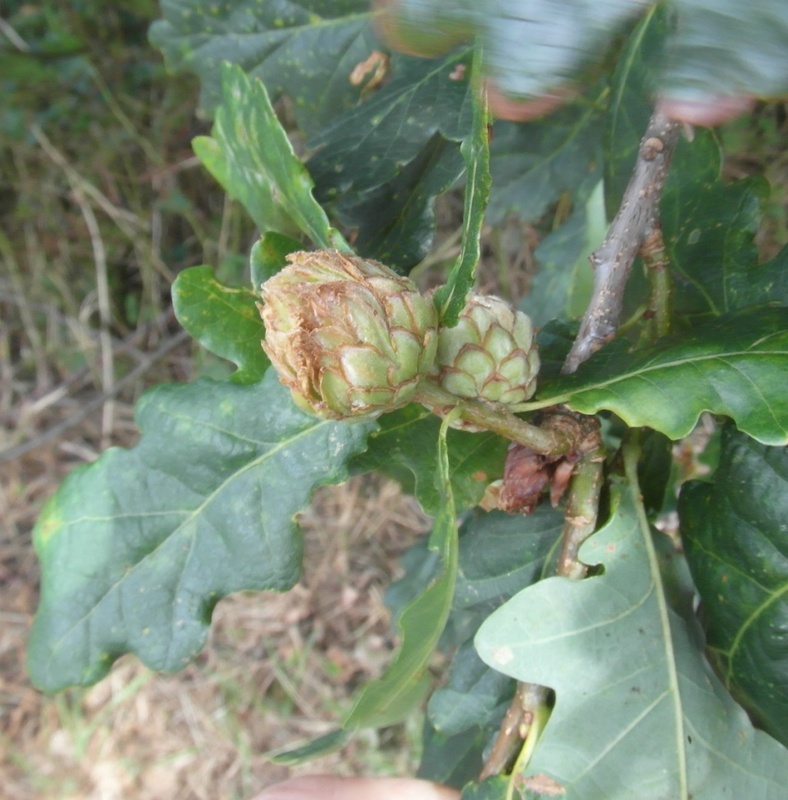 It is common and found on the terminal and axillery buds of Oak trees from June to September. 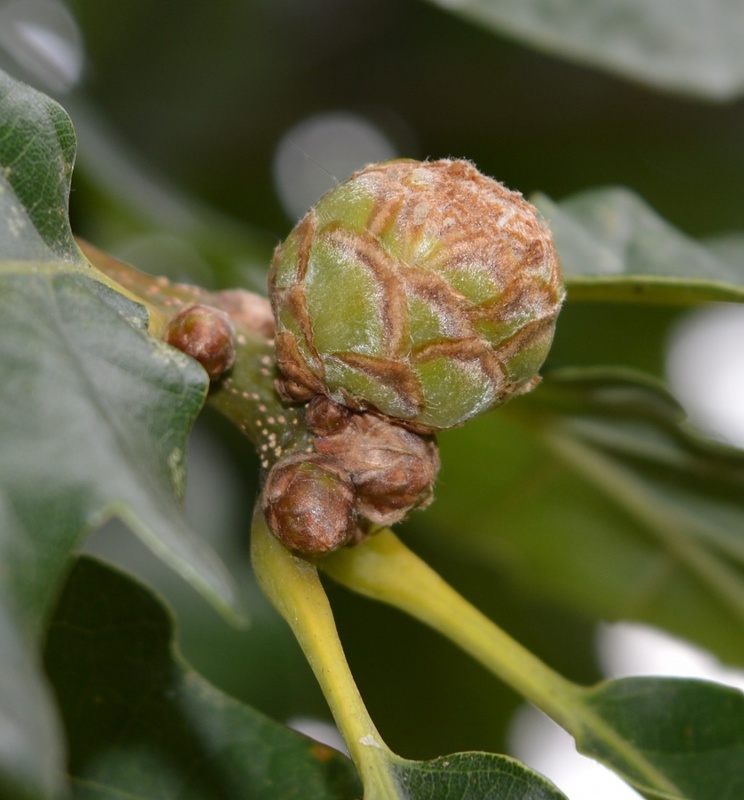 It has an alternate sexual generation on Oak catkins. 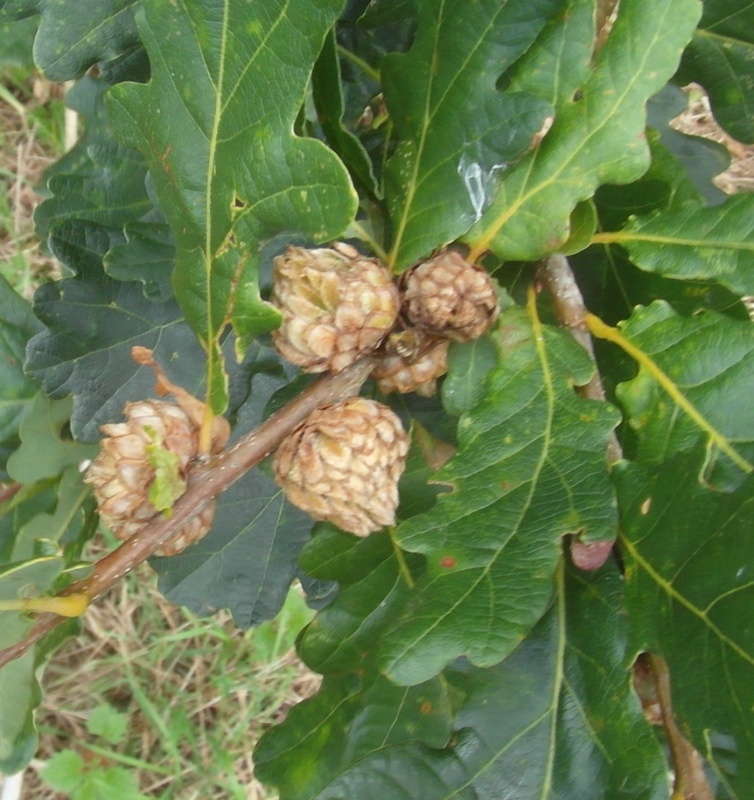 Common and widespread in much of Britain where the host trees are present.